Coburg will take on Essendon at Windy Hill on Sunday, fresh off of last week’s bye. A fortnight ago the Lions took it right up to Richmond, but as has been their Achilles heel for most of the season, could not sustain the performance for four quarters. Last weekend, inaccuracy was all that came between the Bombers and a five game winning streak, as they kicked 8.13 in a tight loss to Footscray. Coburg will need big games from Ryan Exon, Nick Mellington and youngster Marcus Lentini as Essendon have one of the best midfields in the competition. The Bombers lead the VFL in both clearances and contested possessions; two areas where the Lions have struggled in 2018 thus far. Dylan Clarke, if not selected for Essendon AFL, and Kobe Mutch will be the main Bombers’ midfielders that Coburg will have to focus on, with both players having good starts to 2018. Luke Bunker is a big possible inclusion to the Coburg squad, after being named for the first time since a knee injury suffered in pre-season. He is named on the extended bench, which will be finalised closer to Sunday’s game. Also on the extended interchange is Calder Cannon Mitch Podhajski, who may make his first appearance since Round 5, and Michael Ercolano, who could play his first match of the season. New signing Sam Binion retains his place as 23rdman after kicking a goal on debut against Richmond. Coburg will need the likes of Peter McEvoy, Josh Weightman and Hish Kerbatieh firing up forward as it has not scored past the 70 point mark since back in Round 4. The Lions defence will have to be equally as good, coming up against the quality of both James Stewart and Josh Green, if not selected for Essendon AFL, in what is one of the highest scoring forward lines across the whole competition. 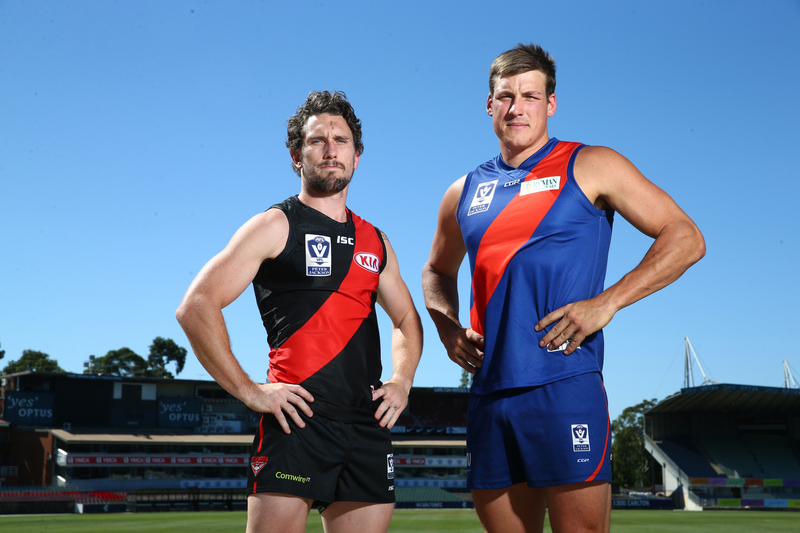 Come down to Windy Hill, Essendon at 12pm on Sunday to see the Lions take on the Bombers. Former Northern Knight Sam Binion a mid season signing for the Lions.